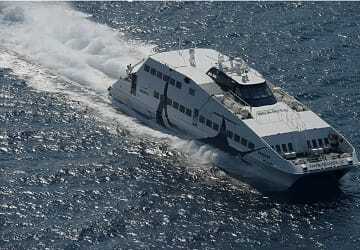 The Tinos Naxos ferry route connects Cyclades Islands with Cyclades Islands and is currently operated by 3 ferry companies. 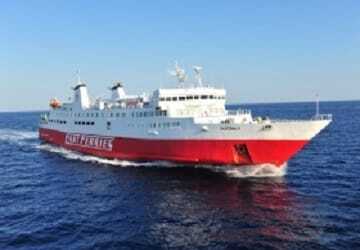 Cyclades Fast Ferries operate their crossing up to 7 times per week, Sea Jets 14 times per week & the Golden Star Ferries service is available up to 14 times per week. 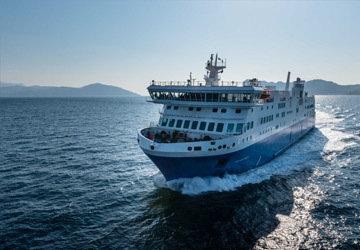 There are a combined 35 sailings available per week on the Tinos Naxos crossing between Cyclades Islands and Cyclades Islands and with 3 ferry companies on offer it is advisable to compare all to make sure you get the best fare at the time that you want to travel. Prices shown represent the average one way price paid by our customers. The most common booking on the Tinos Naxos route is a car and 2 passengers. Naxos is a Greek island that lies in the Aegean Sea and is part of the Cyclades group of islands. The island has a rich and interesting history and has been ruled by a number of different civilisations during its history, including the Byzantine, Frankish and Venetians, all of which have left their mark on the island. The island has a flourishing agricultural economy thanks to its fertile terrain and visitors will see both olives and grapes being grown. Popular attractions on the island, aside from its lovely beaches, tend to focus around Hora and include the Venetian Castle. Also popular with visitors are the island's villages, with one of the largest being Filoti which is situated next to Mount Zeus and Apiranthos which is next to Mount Fanari. Another popular way to spend time on the island is to take to one of the many trails on the island and to go hiking into the mountains. The island's port is also located in Chora. 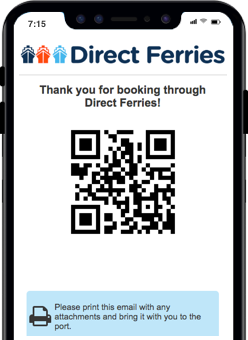 From the port ferries depart to Piraeus (Athens) and to the other islands in the Cyclades.